To have a relationship with Breeze Hospice based on honesty and ethical standards of conduct. To know the truth about his or her diagnosis and prognosis. To expect respect for his or her own person and property, and the person and property of family members. To be free from mistreatment; neglect; and verbal, mental, sexual, or physical abuse. This includes injuries of unknown origin, and misappropriation of patient property by hospice staff or any care provider cooperating with the hospice. To voice grievances regarding treatment that is, or fails to be, furnished; or regarding lack of respect for person or property by anyone who is furnishing services on behalf of hospice. Patient and family shall not be subjected to discrimination or reprisal for voicing a grievance. To know about the disposition of such complaints. To be informed about his or her care alternatives available from hospice, and about payment resources. To receive written information in an understandable language and manner regarding his or her rights, responsibilities, and Notice of Privacy Practices before care begins. To be notified in writing of the care that is to be furnished; the types, disciplines and professional qualifications of caregivers who will furnish the care; the frequency of services proposed to be furnished under the hospice benefit; to participate in care planning, and any changes to it; and to be advised that he or she has the right to do so. To refuse services and treatment within the confines of the law, and to be informed of the consequences of refusing care. To determine the disposition of his or her body at and after death. To retain his or her individuality, and not to be judged for decisions that may be contrary to the beliefs of others. To be informed about Breeze Hospice policy on advance directives, including a description of the individual’s rights under state law. To formulate an advance directive, a legal document outlining care actions to be taken in the event the patient cannot make decisions for himself or herself due to incapacity or illness. To choose his or her attending physician. The patient’s power of attorney of health care agent, or other person appointed pursuant to state law, also has the right to exercise any of the rights listed above on behalf of the patient. To expect confidentiality regarding information about his or her clinical records, including health, social and financial circumstances, and what takes place in his or her home. To expect Breeze Hospice to release information, including that contained in the clinical record, per hospice’s policy on disclosure of such records, as required by law and authorized by the patient. 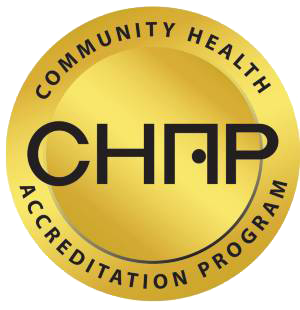 To be provided with a HIPAA (Health Insurance Portability and Accountability Act) statement during the admission process. To be informed of charges for which he or she may be liable. To receive this information orally and in writing within 30 days after the date Breeze Hospice becomes aware of any change in charges. To have access, upon request, to all bills for services received, regardless of whether they are paid out-of-pocket or by another party. To be informed of the hospice’s ownership status, and its affiliation with any entities to which the patient is referred. To receive care of the highest quality. To choose his or her health-care providers. To be provided an interpreter if unable to understand spoken or written English. To have pain thoroughly assessed and promptly managed, and to receive answers to questions regarding pain management. To be informed in advance of any services, products or equipment available for care. To receive service whether or not an advance directive has been executed. To be referred to another provider if Breeze Hospice is unable to meet the patient’s needs, or if the patient is not satisfied with care received. To be told what to do in case of emergency. To receive a timely response from hospice when a service request is made. 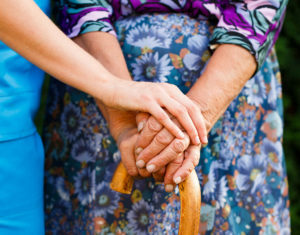 All medically related hospice care is provided in accordance with physicians’ orders. A plan of care is developed by the physician, hospice interdisciplinary group, and patient, specifying services to be provided and their frequency and duration. All medically related personal care is provided by an appropriately trained home health aide, supervised by a nurse or other qualified hospice professional. Any complaints are promptly investigated, and results are reported to the patient. Each patient is informed about Breeze Hospice’s ownership and management.